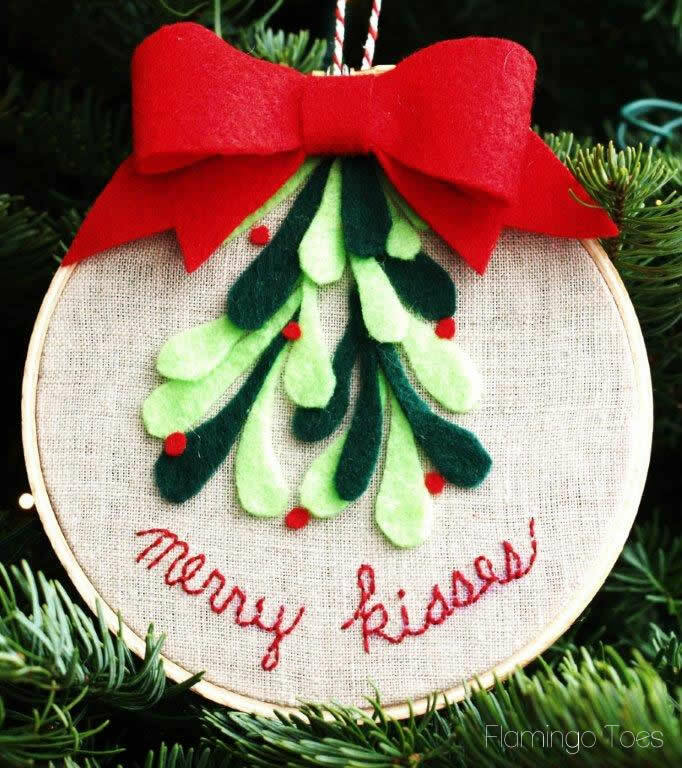 I have a sweet Embroidery Hoop Art for you today – for your tree or just as a sweet little decoration! 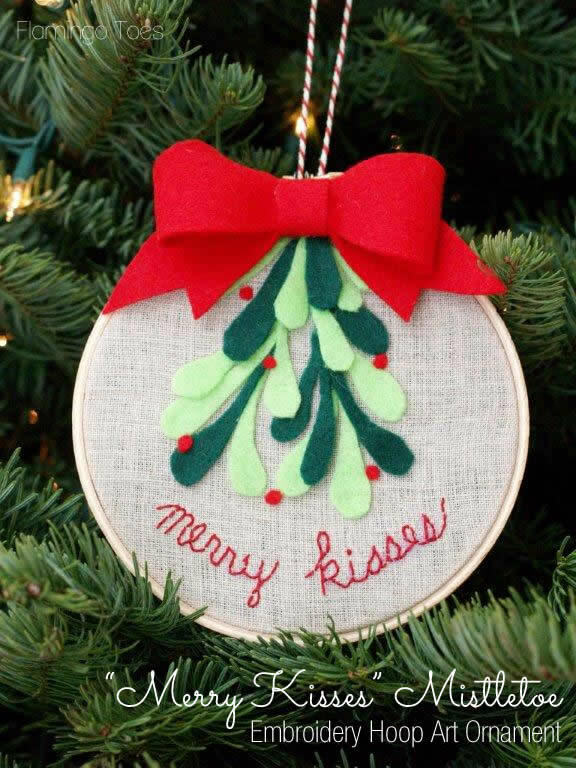 It’s my Merry Kisses Mistletoe Hoop Ornament! It just has a little bit of embroidery – and the stitch is perfect for a beginner. Everything else is no-sew, so this is super easy to put together! I was inspired by a Christmas card at Paper source that I fell in love with. 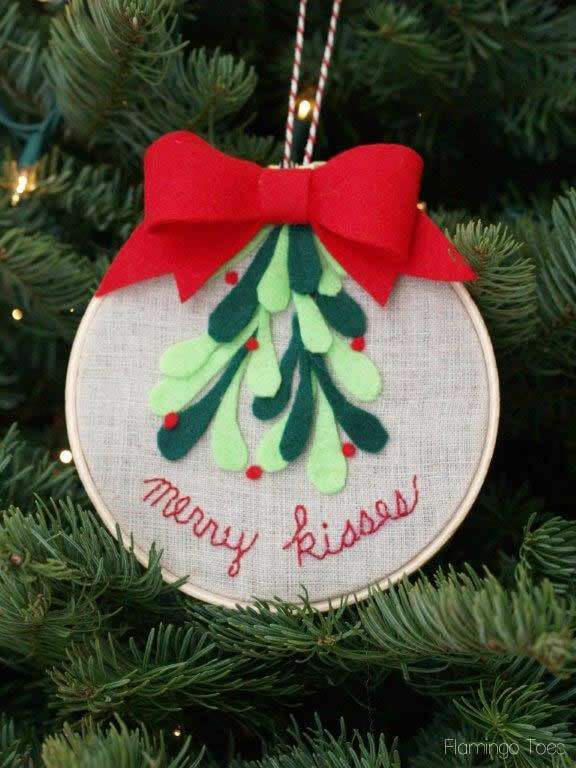 It would be super cute on your tree of course but I think I’m going to hang mine in a doorway – the better to sneak a few extra Christmas smooches! Place your fabric in the embroidery hoop. 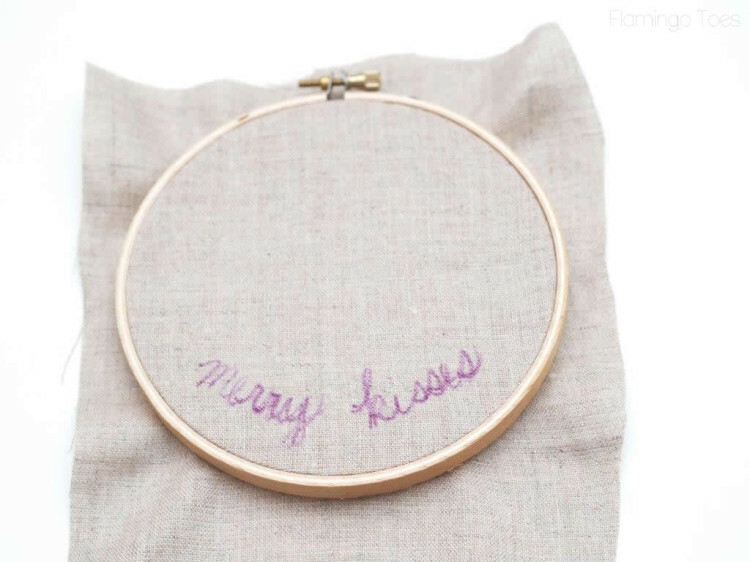 Begin by writing “merry kisses” in a curve along the bottom of the hoop with a disappearing ink marker. You can hand write this or use the pattern I’ve provided for you. 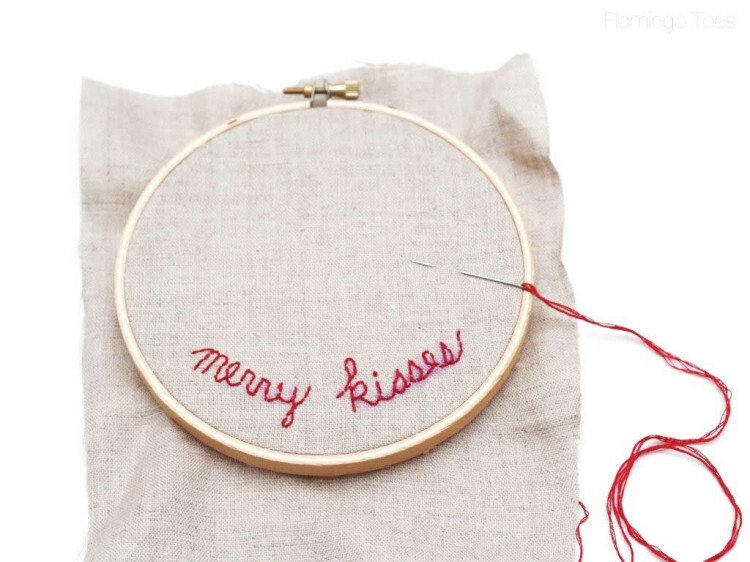 Embroider your letters using a simple back stitch. 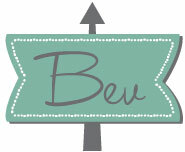 If you need instructions you can find them on my Embroidery: How To Do That page. 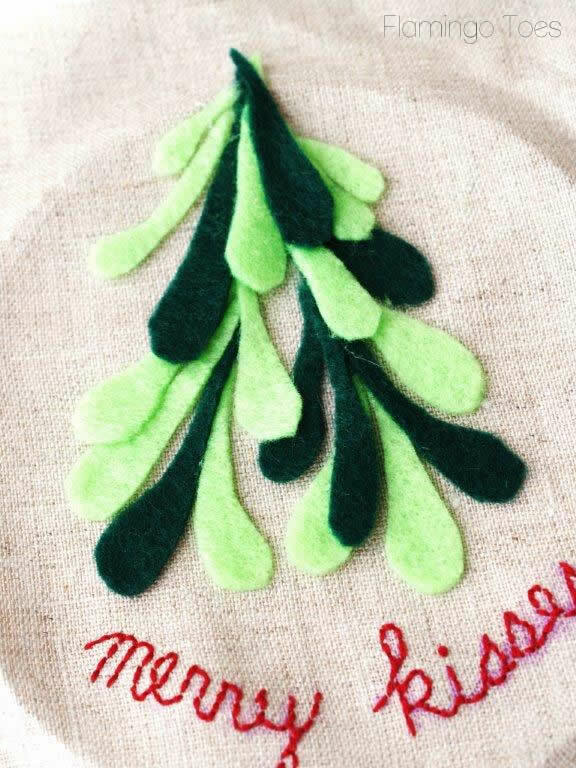 Now cut out your mistletoe leaf shapes. I have some shapes on the pattern for you as a guide, but you can alter these for different shapes and lengths. 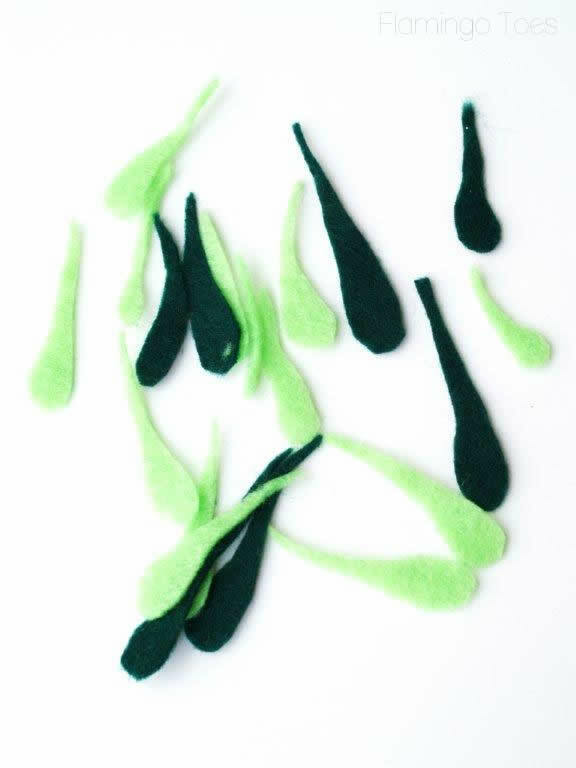 You’ll just want to make sure you have some of each color of felt and some that are long and short. Start gluing your leaves on the fabric. This can be done in any way you like. I chose to make two “stems” of mistletoe, and brought them to a point together at the top. You can use hot glue, felt or tacky glue for this. 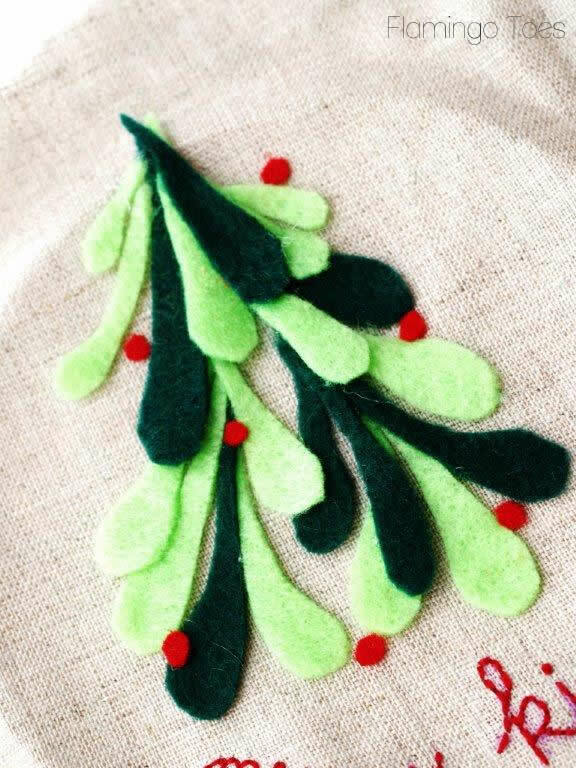 Cut out some tiny little berries from red felt and glue them around the mistletoe leaves. Or you can use white felt if you want to be herbilogically (I totally made that word up) correct. I just think red’s cuter. 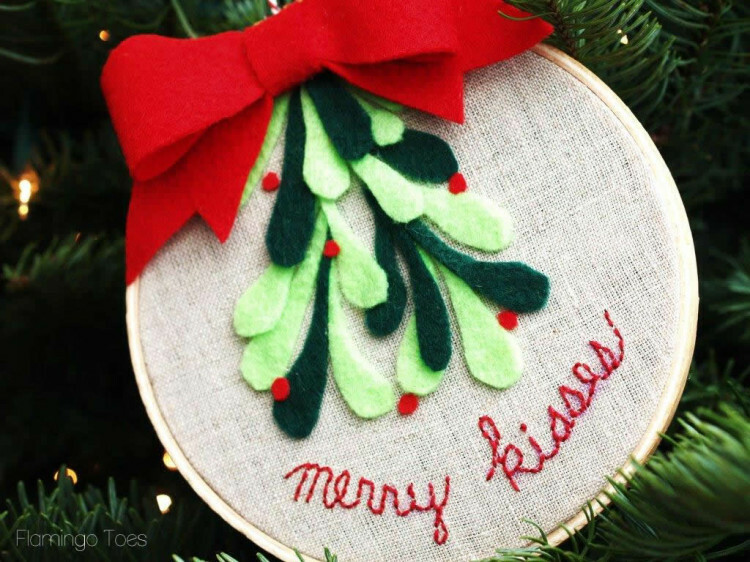 Pop your fabric back in the hoop and try and keep the top of the mistletoe so it’s not in the center of the open section of the hoop. Trim the back of the fabric and finish the back of the hoop by gluing the trimmed fabric to the inside of the hoop. If you want, you can finish the back by gluing on a circle of felt. Make a red felt bow (you can find instructions and a pattern for this bow here) and glue it to the top of your hoop. 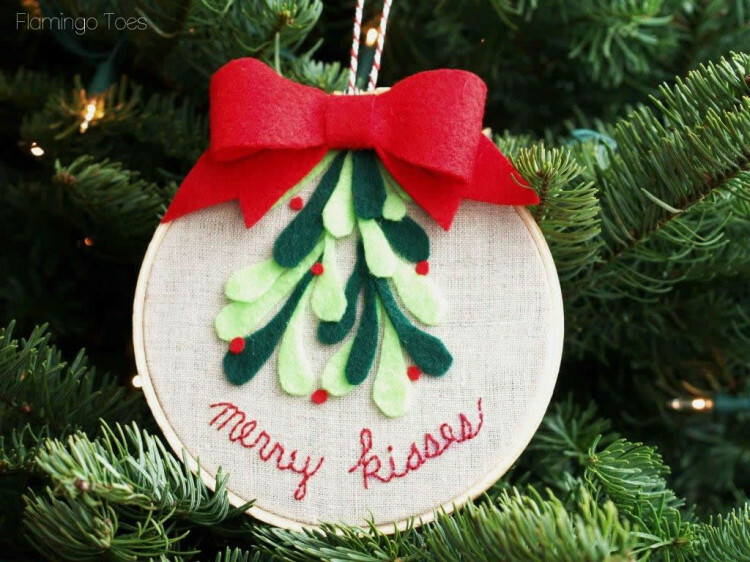 Finish by adding some ribbon or bakers twine for hanging the hoop. 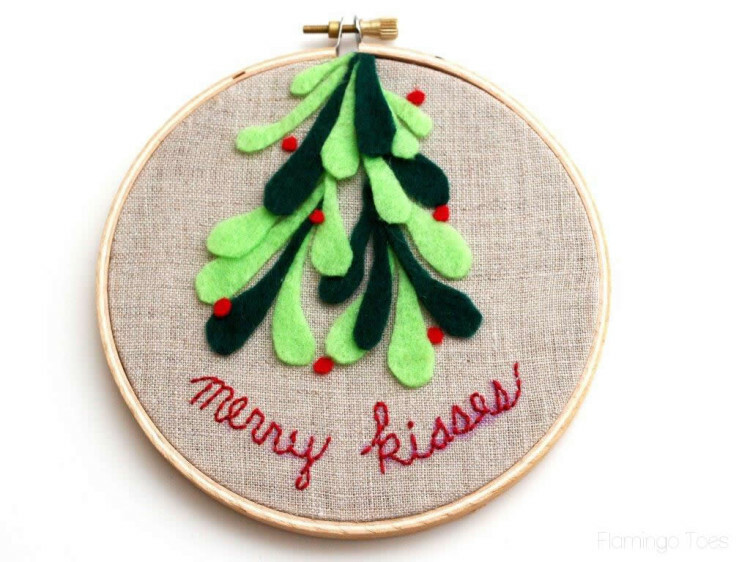 Now you have a sweet mistletoe hoop art to hang up or put on your tree! Linking up at Met Monday, Tutorials & Tips Tuesday, 504 Main, The 36th Avenue Party, Block Party, and the other fabulous parties on the party page. Make sure you check them out! thank you. thus is so cute. This is SO super cute, and I could totally see us hanging this in our house! Real mistletoe can be such a pain. I love that I could pull this out year after year!! adorable!!! 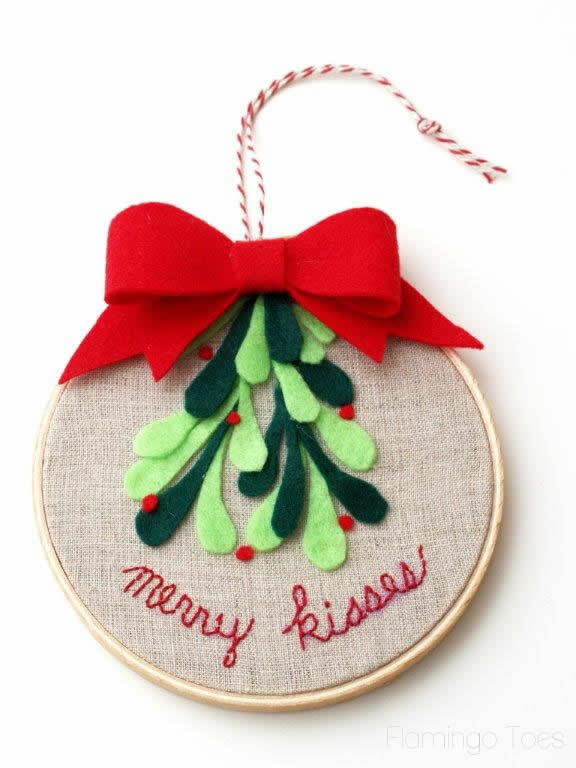 And I love the idea of using it instead of real mistletoe! This is so cute! Pinned to make next year. These would be excellent gifts!